Your family will love the warm & inviting character of this charming Outer Banks family cottage. Located just steps from the Beach, this home is only one house back from the Ocean w/Direct Access & No Roads to Cross so it is perfect for families w/ children. Very convenient w/ a wooden walkway to the Beach & a gazebo which is shared by 3 homes. Nicely furnished & decorated w/ nostalgic photographs, nautical maps, & local mementos, this home offers a glimpse into the history of the Outer Banks while providing all the modern conveniences needed to make your vacation a pleasure. A wrap around porch on two sides of the home is great for relaxing & taking in the wonderful views of the Wright Brothers National Monument. Centrally located many restaurants & shopping areas. 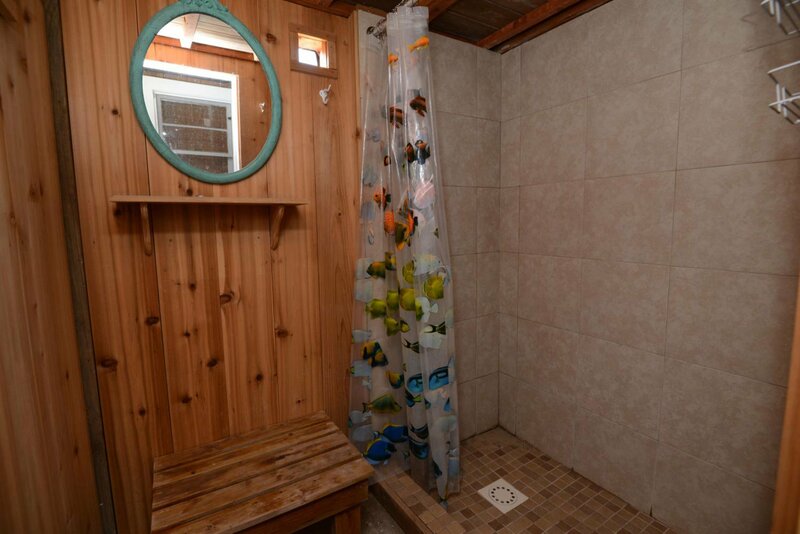 Ground Level: Parking for 4 Cars, Bedroom w/Queen, Den w/TV, VCR, DVD, & Full Bath (Accessible by Separate Outside Entrance Only & Ceilings are 6.5 Ft.), Enclosed Outside Shower, Gas Grill, Picnic Table, & Fish Cleaning Station. Main Level: Living/Dining/Kitchen Area, Tongue & Groove Pine Walls & Ceiling, Flat Panel TV, Stereo w/CD, 3 Bedrooms (Master Suite w/Queen, TV, VCR, DVD, & Full Bath, 1 w/Queen, & 1 w/2 Singles & TV), Shared Full Bath, Wrap Around Covered Porch, Sun Deck, & Great Views of the Wright Brothers Memorial. Features include: C/AC & Heat, Washer/Dryer, Dishwasher, Microwave, Phone, 4 TVs, VCR, DVD, Wireless Internet, Ceiling Fans, Baby Equipment (High Chair), Deck Furniture, & Hammock. No Pets. This is a Non-Smoking Unit. We love all the extra touches like the beach chairs, the sand toys and the bikes. The house is very well decorated and very inviting. We love the Jackson Cottage. Coming back in August! Thank you so much for accommodating our daughter and her ESA. Meant so very much to her. We really enjoyed the old family cottage feel and proximity to the beach. Love their pictures and decorating. All their books on OBX history .like location...close to beach. Nice home. Love the upstairs porch. We have always enjoyed the pleasing beachy ambiance that this cottage offers. We look forward to staying here again. Loved the house. Had the old beach home feel, with modern comforts. We enjoyed your "old Nags Head" ambiance. Charming! Very nice old Nags Head feel. Very enjoyable. 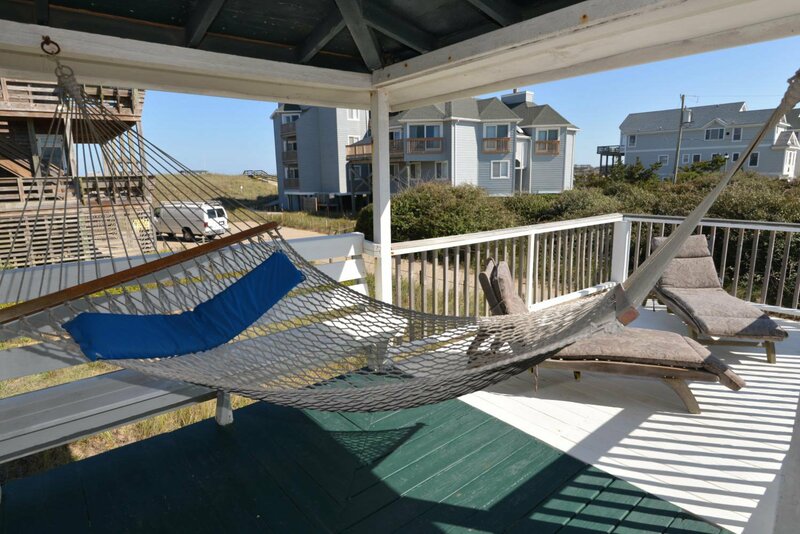 This is a classic Outer Banks home delivering comfort and relaxation. 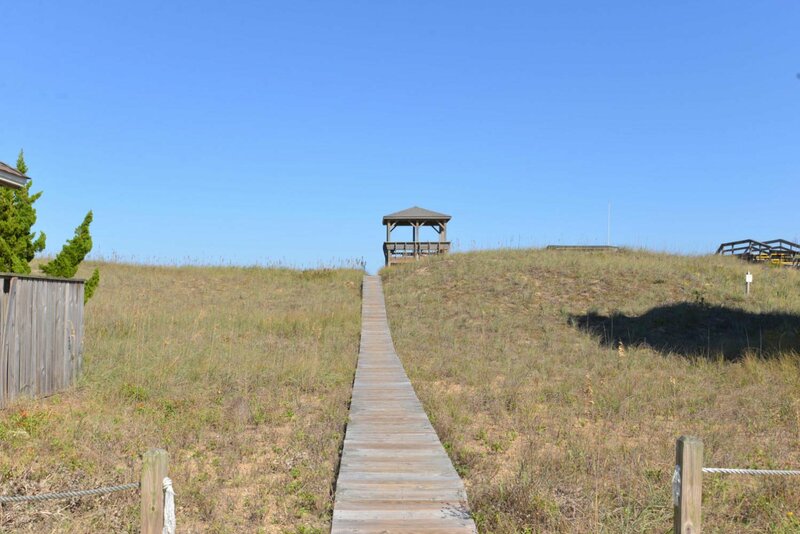 The shared boardwalk and gazebo make getting to the beach and enjoying ocean views very easy. We loved this charming cottage! Loved the bikes, chairs, and sand toys made available to the renters. 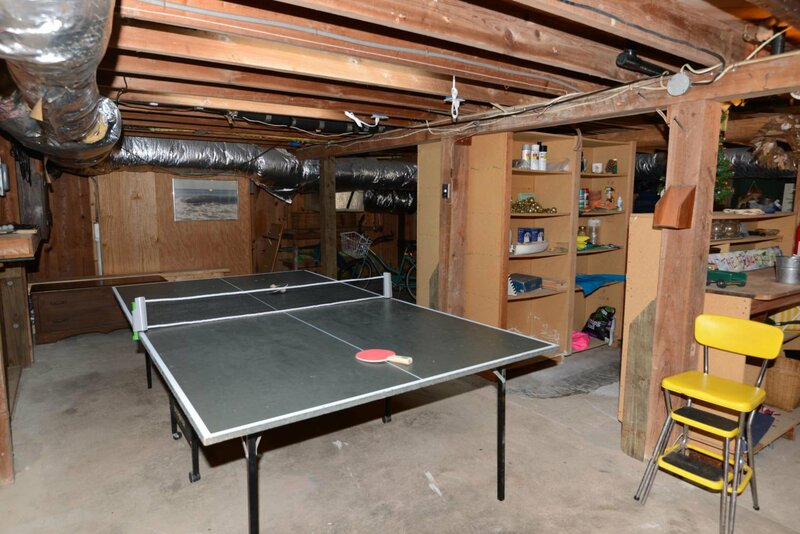 The ping pong table was a great surprise, too! Beautiful home away from home feel. Meets every need you could possibly have while on vacation. Love the way sound doesn't transfer through the walls as easy as most beach houses. One of the best vacations I have had in years. We loved the feel of the cottage. Felt like we were borrowing it from a family member! It was exactly as it was represented to be and priced accordingly. Not fancy, but comfortable. Loved the old cottage ambience! Original art, country furniture wonderful! Overall decor outstanding. Lower level suite is fantastic! This is a great home, close to the beach. 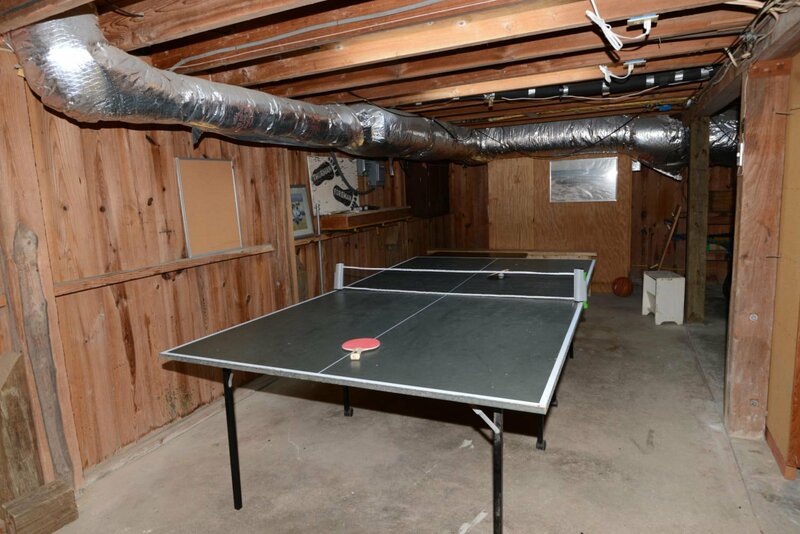 The atmosphere is certainly cottage, but it has all the amenities. We barely used anything except the beds and showers but I would rent this again. So close to the beach, excellent parking, and plenty of privacy! Slept 7 total, with adults and teenagers. You will be pleasantly surprised as we were.